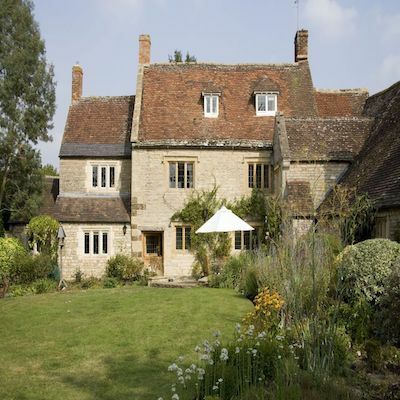 The Old Manor House is a luxury boutique bed and breakfast set amidst glorious South Warwickshire countryside, on the edge of the Cotswolds and only 7 miles from Stratford upon Avon. Great for weekend breaks or even longer stays…The Old Manor House offers you an ideal base from which to explore the variety of local attractions and places to visit, only an hour and a half’s drive from London or easily accessible by train. Jane and William Pusey welcome you to their 16th century home with a promise of a memorable stay. The Old Manor House is set in 3 acres of beautifully landscaped gardens which slope down to the River Stour – ideal for fishing or picnics. This is a Warwickshire bed and breakfast with style, where antiques and contemporary art sit comfortably together in the large elegant drawing room, exclusively reserved for guests. Happy to book Stratford theatre tickets, a pre-theatre dinner, recommend restaurants or arrange for a taxi into town. Jane and William are also pleased to organise bicycle hire for guests wishing to explore the countryside, or walking tours of Stratford-upon-Avon, a popular activity and great way to learn about Shakespeare and the history of this iconic medieval market town. Jane is a Cordon Bleu cook and uses local produce for her delicious breakfasts. Food has always been a passion, trained at The Cordon Bleu School in London, she continues to love all aspects of food and prides herself in serving good food! When guests arrive at The Old Manor, they are immediately greeted with tea and homemade biscuits, a lovely touch, to start your stay. All produce, where possible, is sourced from local farmers including Talton Mill Farm at Alderminster and Paddock Farm at Fullready. Delicious selection of sandwiches, pates and cakes etc. are all available. Please give Jane plenty of notice to prepare something wonderful for you! This idyllic, honey-coloured, 16th century manor house is perfectly placed to visit so many of the UK’s top tourist destinations: The Cotswolds, an area of outstanding natural beauty, as well as, the nearby historic towns and cities such as Stratford-upon-Avon, Warwick, Cheltenham and Oxford. There again, you may just want to slip away for a relaxing weekend, to a beautiful English country retreat, and enjoy Jane and William’s warm hospitality and, of course, some of Jane’s wonderful home-cooking! Please contact Jane if you need any further assistance.